Outfit of the Week: Mythology Surfer! Today's Outfit of the Week goes to the Mythology Surfer! 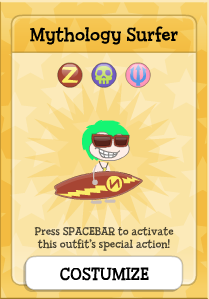 This cool outfit has just returned and is perfect for any Poptropican who loves fun in the sun and hanging ten. This far-out outfit comes with three different customizations: Zeus, Hades, and Poseidon. So, depending on your mood, you can customize your own surf-tastic look! Catch the wave and pick up this outfit today! 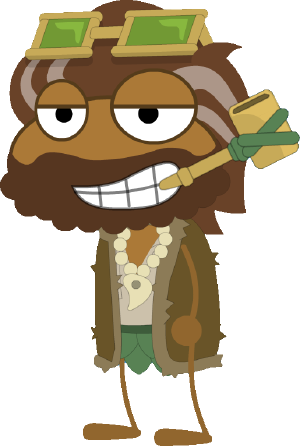 Pop-Trivia - What year did the Mythology Surfer outfit first appear in Poptropica??? 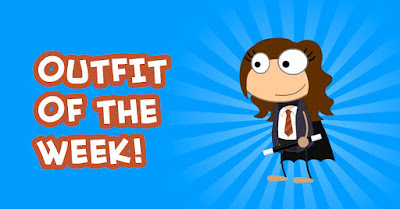 Today we've got a quick pop quiz that can outwit even the most experienced Poptropican! Can you guess the island where this screenshot was taken? If so, take a guess a comment below! If you guessed Mission Atlantis, you were correct! Some of you may have noticed changes happening in Poptropica and we know there's been A LOT of speculation about what's going on! The Poptropica creators team is hard at work to make Poptropica a better experience for everyone and you'll be seeing changes big and small from now on! You've sent us a lot of brilliant ideas and we're doing our best to make those requests a reality! One of our latest changes is updating the shop. 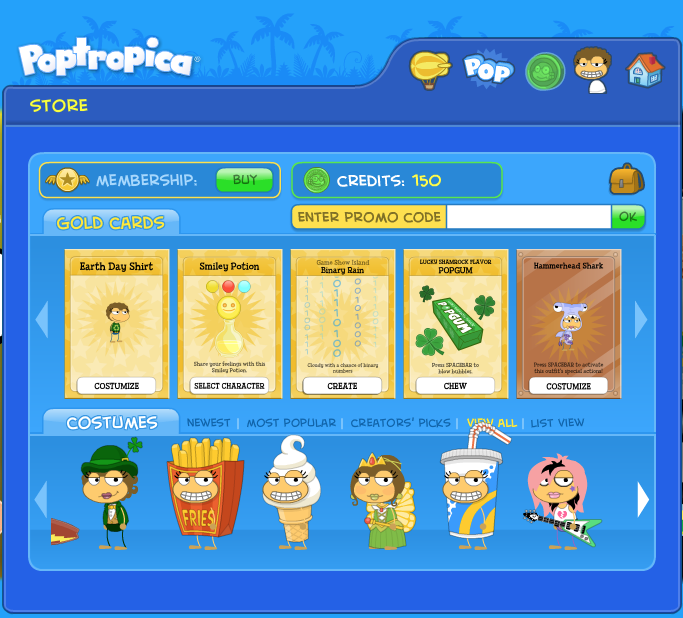 A lot of you have reached out to us that the shop never gets updated in Poptropica, and you're right – it had been a really long time since any changes had been made! We'll be updating the shop every month with items for you to choose from. Have a favorite costume, follower, or special ability you want to see return to the Poptropica shop? Let us know in the comments below! 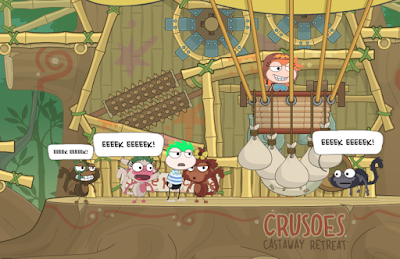 The Poptropica creators are hard at work on an awesome new update to Poptropica Worlds! Can you guess what it is? If you love casting spells and going on magical adventures, you'll love this Outfit of the Week! We spotted this amazing Hermione Granger outfit and thought it needed a shoutout. Shoutout to Rachellyy, a.k.a. Short Eagle for conjuring up this outfit. If you have an outfit of the week that you want featured, let us know and comment below. Soon we'll begin featuring outfits created by members of the community! Have a great day Poptropicans! Have you experienced the magic of Arabian Nights Island? 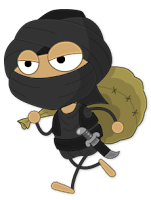 Arabian Nights is a 3-episode adventure inspired by the Poptropican Magic Eagle, the winner of Poptropica's Create Your Dream Island Contest! Journey to an ancient land of sultans, thieves, and a magical lamp with power beyond imagination. 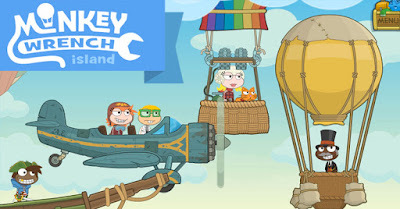 Tips and Tricks: Monkey Wrench Island! Pro Tip: Although Crusoe can be lazy, don't be hesitant to help him out! He'll need to have his fruity beverage before being much use! You'll have to put in a lot of work, for what seems like little reward, but it pays off in the end! 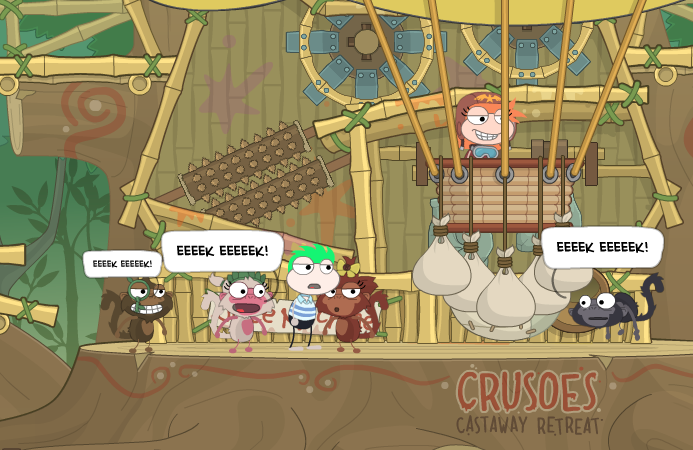 Keep in mind, the monkeys are the real brains behind Crusoe's Castaway Retreat! 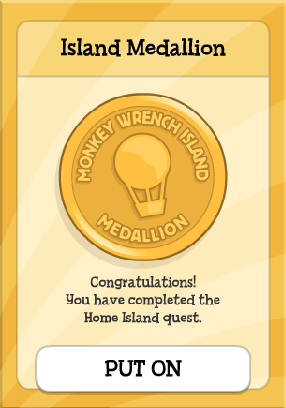 Once you finish the Flying Ace Race, you can earn the Monkey Wrench Island Medallion! Have you got what it takes to earn your very own Island Medallion? Great news – we've got some awesome new styles for you! From sweet new clothes to fresh new hair styles, your characters will be all set for summer vacation! Watch the video for a peek at the latest styles for girls, but don't worry boys, we've got lots of great new options for you too! 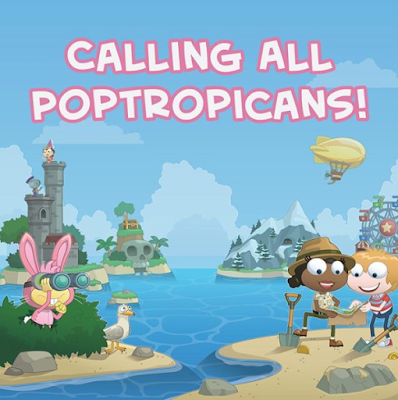 With so many new players in Poptropica this year, we want to hear what you think! 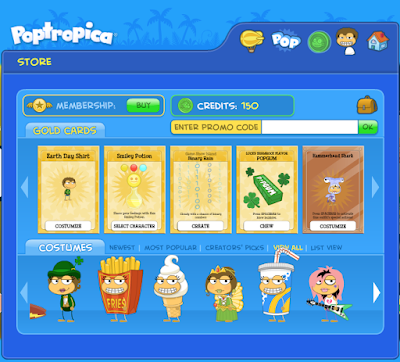 What features do you want to see on Poptropica.com? 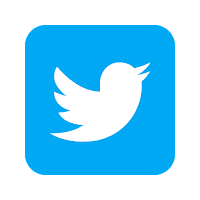 What things do you want to see on the blog? And for our ever loyal fans – you know the game better than anyone! 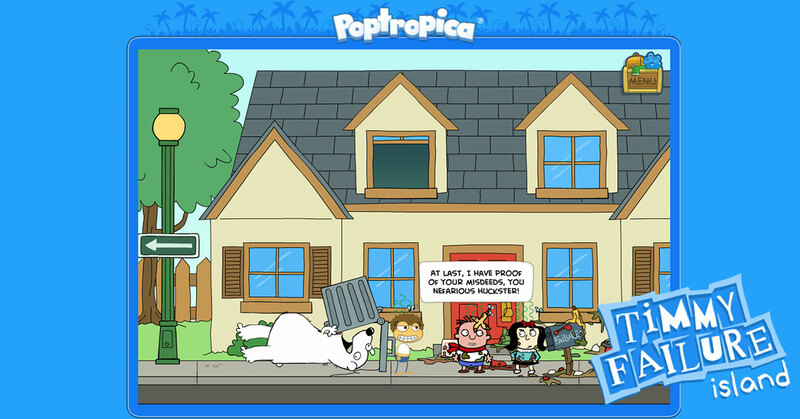 What do you think should happen in Poptropica? Your best ideas may make it into your favorite game! 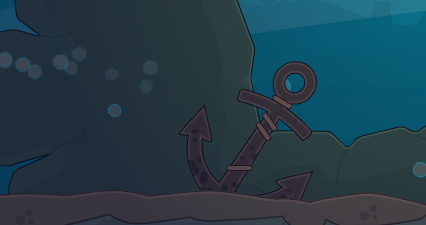 If you haven't begun exploring Timmy Failure Island, you're in for a treat! When danger lurks, and criminals hide around every corner, you need the best detective money can buy. That detective is not Timmy Failure — but don't try to tell him that. You're about to come face to face with the craziest cast of characters ever to appear on a Poptropica Island. Trying to solve this mystery is only the beginning! 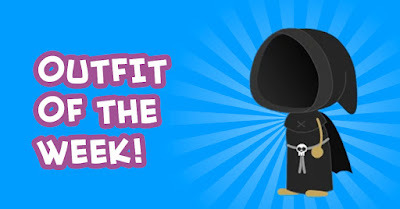 Outfit of the Week: Grim Reaper! 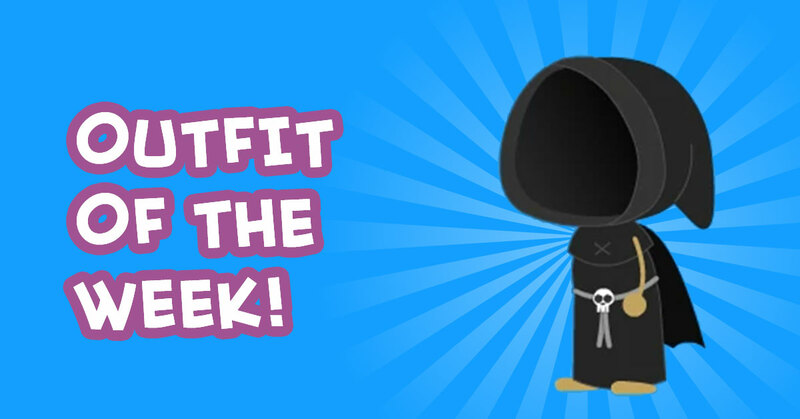 Today's Outfit Of The Week is the ghastly Grim Reaper! Isn't this outfit ghoulish? Every week we'll be featuring some of our favorite outfits from the game. Do you have a favorite outfit that you want featured? Let us know and comment below! 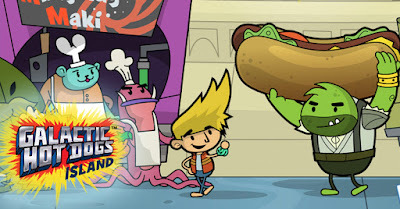 Island Highlight: Galactic Hot Dogs Island! Have you explored Galactic Hot Dogs Island yet? If so, what's your favorite part about this zany island? 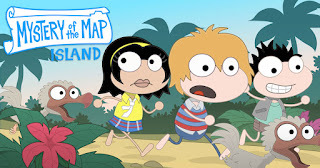 From the hit illustrated novel comes a very zany Poptropica adventure! Hop aboard the Neon Wiener for an intergalactic voyage with Cosmoe, Humphree, and Princess Dagger! Island Highlight: Mystery of the Map Island! Have you explored Mystery of the Map Island? A lost Viking settlement… an island unstuck in time… a magical map with power beyond understanding… and a devious plot that could unravel the very fabric of Poptropica! Join Mya, Oliver, and Jorge for a thrilling new adventure that lifts the veil from the greatest secret of all: the origin of Poptropica! Outfit of the Week: The Mermaid! Get the Mythology Surfer outfit, and customize the blue Poseidon top, necklace, and belt. Next, get the Gamer Girl outfit. Customize the hair. Use the blue Geisha skirt. Use the Fairy Queen's lips and bangs. If you want, get the Basic Followers Pack (Store) and get the bubble follower. 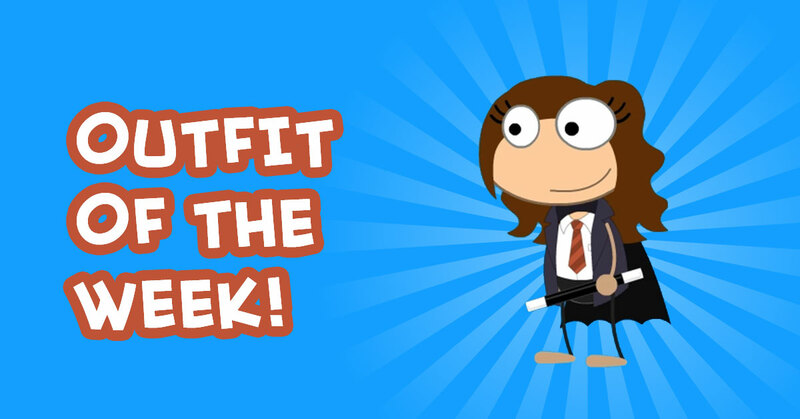 Got a great idea for your own Outfit of the Week? Let us know, and comment below!!! 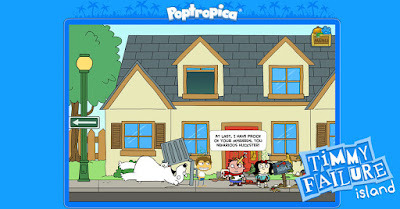 Hey Poptropicans! Some of you pointed out that our directions for our Outfit of the Week didn't match the image – sorry about that! We've updated them to be more accurate. Stay tuned for more new content on the blog!